Oscar® and Academy Awards® and Oscar® design mark are the trademarks and service marks and the Oscar© statuette the copyrighted property, of the Academy of Motion Picture Arts and Sciences. This site is neither endorsed by nor affiliated with the Academy of Motion Picture Arts and Sciences. 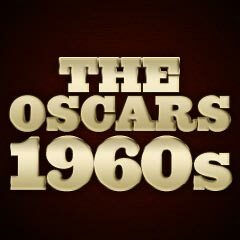 "The Greatest Films" site has also selected as the "100 Greatest Films." The winners are listed first, in CAPITAL letters, in each category. Click on individual year for details. BURT LANCASTER in "Elmer Gantry", Trevor Howard in "Sons and Lovers", Jack Lemmon in "The Apartment", Laurence Olivier in "The Entertainer", Spencer Tracy in "Inherit the Wind"
ELIZABETH TAYLOR in "Butterfield 8", Greer Garson in "Sunrise at Campobello", Deborah Kerr in "The Sundowners", Shirley MacLaine in "The Apartment", Melina Mercouri in "Never on Sunday"
PETER USTINOV in "Spartacus", Peter Falk in "Murder, Inc.", Jack Kruschen in "The Apartment", Sal Mineo in "Exodus", Chill Wills in "The Alamo"
SHIRLEY JONES in "Elmer Gantry", Glynis Johns in "The Sundowners", Shirley Knight in "The Dark at the Top of the Stairs", Janet Leigh in "Psycho", Mary Ure in "Sons and Lovers"
BILLY WILDER for "The Apartment", Jack Cardiff for "Sons and Lovers", Jules Dassin for "Never on Sunday", Alfred Hitchcock for "Psycho", Fred Zinnemann for "The Sundowners"
MAXIMILIAN SCHELL in "Judgment at Nuremberg", Charles Boyer in "Fanny", Paul Newman in "The Hustler", Spencer Tracy in "Judgment at Nuremberg", Stuart Whitman in "The Mark"
SOPHIA LOREN in "Two Women", Audrey Hepburn in "Breakfast at Tiffany's", Piper Laurie in "The Hustler", Geraldine Page in "Summer and Smoke", Natalie Wood in "Splendor in the Grass"
GEORGE CHAKIRIS in "West Side Story", Montgomery Clift in "Judgment at Nuremberg", Peter Falk in "Pocketful of Miracles", Jackie Gleason in "The Hustler", George C. Scott in "The Hustler"
RITA MORENO in "West Side Story", Fay Bainter in "The Children's Hour", Judy Garland in "Judgment at Nuremberg", Lotte Lenya in "The Roman Spring of Mrs. Stone", Una Merkel in "Summer and Smoke"
JEROME ROBBINS and ROBERT WISE for "West Side Story", Federico Fellini for "La Dolce Vita", Stanley Kramer for "Judgment at Nuremberg", J. Lee Thompson for "The Guns of Navarone", Robert Rossen for "The Hustler"
GREGORY PECK for "To Kill a Mockingbird", Burt Lancaster in "Birdman of Alcatraz", Jack Lemmon in "Days of Wine and Roses", Marcello Mastroianni in "Divorce - Italian Style", Peter O'Toole in "Lawrence of Arabia"
ANNE BANCROFT in "The Miracle Worker", Bette Davis in "What Ever Happened to Baby Jane? ", Katharine Hepburn in "Long Day's Journey Into Night", Geraldine Page in "Sweet Bird of Youth," Lee Remick in "Days of Wine and Roses"
ED BEGLEY in "Sweet Bird of Youth", Victor Buono in "What Ever Happened to Baby Jane? ", Telly Savalas in "Birdman of Alcatraz", Omar Sharif in "Lawrence of Arabia", Terence Stamp in "Billy Budd"
PATTY DUKE in "The Miracle Worker", Mary Badham in "To Kill a Mockingbird", Shirley Knight in "Sweet Bird of Youth", Angela Lansbury in "The Manchurian Candidate", Thelma Ritter in "Birdman of Alcatraz"
DAVID LEAN for "Lawrence of Arabia", Pietro Germi for "Divorce - Italian Style", Robert Mulligan for "To Kill a Mockingbird", Arthur Penn for "The Miracle Worker", Frank Perry for "David and Lisa"
SIDNEY POITIER in "Lilies of the Field", Albert Finney in "Tom Jones", Richard Harris in "This Sporting Life", Rex Harrison in "Cleopatra", Paul Newman in "Hud"
PATRICIA NEAL in "Hud", Leslie Caron in "The L-Shaped Room", Shirley MacLaine in "Irma La Douce", Rachel Roberts in "This Sporting Life", Natalie Wood in "Love with the Proper Stranger"
MELVYN DOUGLAS in "Hud", Nick Adams in "Twilight of Honor", Bobby Darin in "Captain Newman, M.D. ", Hugh Griffith in "Tom Jones", John Huston in "The Cardinal"
MARGARET RUTHERFORD in "The V.I.P.s", Diane Cilento in "Tom Jones", Edith Evans in "Tom Jones", Joyce Redman in "Tom Jones", Lilia Skala in "Lilies of the Field"
TONY RICHARDSON for "Tom Jones", Federico Fellini for "8 1/2", Elia Kazan for "America, America", Otto Preminger for "The Cardinal", Martin Ritt for "Hud"
REX HARRISON in "My Fair Lady", Richard Burton in "Becket", Peter O'Toole in "Becket", Anthony Quinn in "Zorba the Greek", Peter Sellers in "Dr. Strangelove or: How I Learned To Stop Worrying..."
JULIE ANDREWS in "Mary Poppins", Anne Bancroft in "The Pumpkin Eater", Sophia Loren in "Marriage Italian Style", Debbie Reynolds in "The Unsinkable Molly Brown", Kim Stanley in "Seance on a Wet Afternoon"
PETER USTINOV in "Topkapi", John Gielgud in "Becket", Stanley Holloway in "My Fair Lady", Edmond O'Brien in "Seven Days in May", Lee Tracy in "The Best Man"
LILA KEDROVA in "Zorba the Greek", Gladys Cooper in "My Fair Lady", Edith Evans in "The Chalk Garden", Grayson Hall in "The Night of the Iguana", Agnes Moorehead in "Hush...Hush, Sweet Charlotte"
GEORGE CUKOR for "My Fair Lady", Michael Cacoyannis for "Zorba the Greek", Peter Glenville for "Becket", Stanley Kubrick for "Dr. Strangelove or: How I Learned To Stop Worrying...", Robert Stevenson for "Mary Poppins"
LEE MARVIN in "Cat Ballou", Richard Burton in "The Spy Who Came In From the Cold", Laurence Olivier in "Othello", Rod Steiger in "The Pawnbroker", Oskar Werner in "Ship of Fools"
JULIE CHRISTIE in "Darling", Julie Andrews in "The Sound of Music", Samantha Eggar in "The Collector", Elizabeth Hartman in "A Patch of Blue", Simone Signoret in "Ship of Fools"
MARTIN BALSAM in "A Thousand Clowns", Ian Bannen in "The Flight of the Phoenix", Tom Courtenay in "Doctor Zhivago", Michael Dunn in "Ship of Fools", Frank Finlay in "Othello"
SHELLEY WINTERS in "A Patch of Blue", Ruth Gordon in "Inside Daisy Clover", Joyce Redman in "Othello", Maggie Smith in "Othello", Peggy Wood in "The Sound of Music"
ROBERT WISE for "The Sound of Music", David Lean for "Doctor Zhivago", John Schlesinger for "Darling", Hiroshi Teshigahara for "Woman in the Dunes", William Wyler for "The Collector"
PAUL SCOFIELD in "A Man for All Seasons", Alan Arkin in "The Russians Are Coming, The Russians Are Coming", Richard Burton in "Who's Afraid of Virginia Woolf? ", Michael Caine in "Alfie", Steve McQueen in "The Sand Pebbles"
ELIZABETH TAYLOR in "Who's Afraid of Virginia Woolf? ", Anouk Aimee in "A Man and a Woman", Ida Kaminska in "The Shop on Main Street", Lynn Redgrave in "Georgy Girl", Vanessa Redgrave in "Morgan!" WALTER MATTHAU in "The Fortune Cookie", Mako in "The Sand Pebbles", James Mason in "Georgy Girl", George Segal in "Who's Afraid of Virginia Woolf? ", Robert Shaw in "A Man for All Seasons"
SANDY DENNIS in "Who's Afraid of Virginia Woolf? ", Wendy Hiller in "A Man for All Seasons", Jocelyn Lagarde in "Hawaii", Vivien Merchant in "Alfie", Geraldine Page in "You're a Big Boy Now"
FRED ZINNEMANN for "A Man for All Seasons", Michelangelo Antonioni for "Blow-up", Richard Brooks for "The Professionals", Claude Lelouch for "A Man and a Woman", Mike Nichols for "Who's Afraid of Virginia Woolf?" ROD STEIGER in "In the Heat of the Night", Warren Beatty in "Bonnie And Clyde", Dustin Hoffman in "The Graduate", Paul Newman in "Cool Hand Luke", Spencer Tracy in "Guess Who's Coming to Dinner"
KATHARINE HEPBURN in "Guess Who's Coming to Dinner", Anne Bancroft in "The Graduate", Faye Dunaway in "Bonnie And Clyde", Edith Evans in "The Whisperers", Audrey Hepburn in "Wait Until Dark"
GEORGE KENNEDY in "Cool Hand Luke", John Cassavetes in "The Dirty Dozen", Gene Hackman in "Bonnie And Clyde", Cecil Kellaway in "Guess Who's Coming to Dinner", Michael J. Pollard in "Bonnie And Clyde"
ESTELLE PARSONS in "Bonnie And Clyde", Carol Channing in "Thoroughly Modern Millie", Mildred Natwick in "Barefoot in the Park", Beah Richards in "Guess Who's Coming to Dinner", Katharine Ross in "The Graduate"
MIKE NICHOLS for "The Graduate", Richard Brooks for "In Cold Blood", Norman Jewison for "In the Heat of the Night", Stanley Kramer for "Guess Who's Coming to Dinner", Arthur Penn for "Bonnie And Clyde"
CLIFF ROBERTSON in "Charly", Alan Arkin in "The Heart is a Lonely Hunter", Alan Bates in "The Fixer", Ron Moody in "Oliver! ", Peter O'Toole in "The Lion in Winter"
KATHARINE HEPBURN in "The Lion in Winter" and BARBRA STREISAND in "Funny Girl" (tie), Patricia Neal in "The Subject Was Roses", Vanessa Redgrave in "Isadora", Joanne Woodward in "Rachel, Rachel"
JACK ALBERTSON in "The Subject Was Roses", Seymour Cassel in "Faces", Daniel Massey in "Star! ", Jack Wild in "Oliver! ", Gene Wilder in "The Producers"
RUTH GORDON in "Rosemary's Baby", Lynn Carlin in "Faces", Sondra Locke in "The Heart is a Lonely Hunter", Kay Medford in "Funny Girl", Estelle Parsons in "Rachel, Rachel"
SIR CAROL REED for "Oliver! ", Anthony Harvey for "The Lion in Winter", Stanley Kubrick for "2001: A Space Odyssey", Gillo Pontecorvo for "The Battle of Algiers", Franco Zeffirelli for "Romeo and Juliet"
JOHN WAYNE in "True Grit", Richard Burton in "Anne of the Thousand Days", Dustin Hoffman in "Midnight Cowboy", Peter O'Toole in "Goodbye, Mr. Chips", Jon Voight in "Midnight Cowboy"
MAGGIE SMITH in "The Prime of Miss Jean Brodie", Genevieve Bujold in "Anne of the Thousand Days", Jane Fonda in "They Shoot Horses, Don't They? ", Liza Minnelli in "The Sterile Cuckoo", Jean Simmons in "The Happy Ending"
GIG YOUNG in "They Shoot Horses, Don't They? ", Rupert Crosse in "The Reivers", Elliott Gould in "Bob & Carol & Ted & Alice", Jack Nicholson in "Easy Rider", Anthony Quayle in "Anne of the Thousand Days"
GOLDIE HAWN in "Cactus Flower", Catherine Burns in "Last Summer", Dyan Cannon in "Bob & Carol & Ted & Alice", Sylvia Miles in "Midnight Cowboy", Susannah York in "They Shoot Horses, Don't They?" JOHN SCHLESINGER for "Midnight Cowboy", Costa-Gavras for "Z", George Roy Hill for "Butch Cassidy and the Sundance Kid", Arthur Penn for "Alice's Restaurant", Sydney Pollack for "They Shoot Horses, Don't They?"